It’s reasonable to start with skepticism. Ask some tough but fair questions. Such as: Why would someone deliberately let their expensive, imported craft beers get old? Hey, you know beer and wine are different, right? And, since when is this a thing? Patrick Dawson understands your doubts, but the author of Vintage Beer: A Taster’s Guide to Brews That Improve over Time doesn’t seem fazed by them. He spends just a few pages describing his own epiphany about the wonders of aged beer, lingering on the “grape, pineapple and maybe even a little kiwi” bouquet of his first 3-year-old Duvel. Then he moves on. There’s just too much chemistry-grounded, research-based expertise to be shared about the finicky art of choosing, storing and appreciating cellared beers to fritter away any of it on those who lack faith in the possibility of better beer to come. If you’re looking to break into beer cellaring yourself, you should know that Dawson doesn’t sugarcoat one important fact: This can all go terribly wrong in a multitude of ways. If you’re looking to break into beer cellaring yourself, you should know that Dawson doesn’t sugarcoat one important fact: This can all go terribly wrong in a multitude of ways. Incorrectly judge the amount of melanoidins in a fresh beer and you might end up with a decade-old bottle drowned in flavors of sherry and amaretto. Fail to take humidity into account and suffer the ravages of ullage when your corks shrivel. But at every juncture, Dawson is there to counsel, warn and encourage with the detailed methods and explanations in his well-organized, beautiful little guidebook. Study at the feet of the cellaring master when he visits Albuquerque on Saturday, May 17, at 3pm, in an appearance sponsored by Bookworks. The free event at La Cumbre Brewing Co. (3313 Girard NE) will include a presentation about vintage beer and the tapping of La Cumbre’s oak-aged, Russian imperial stout La Negra. 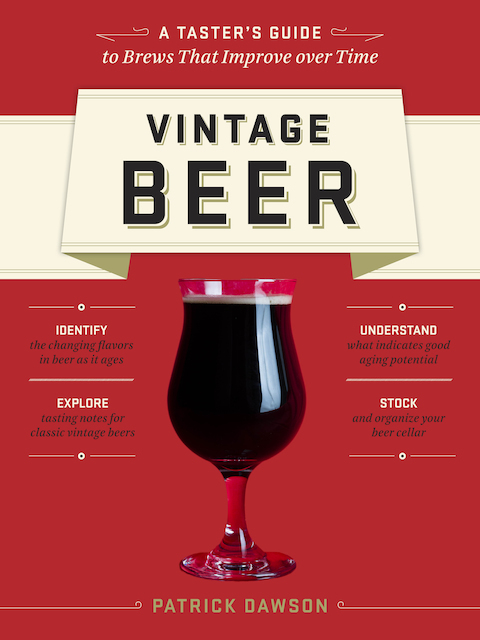 Patrick Dawson presents Vintage Beer at La Cumbre Brewing Co.